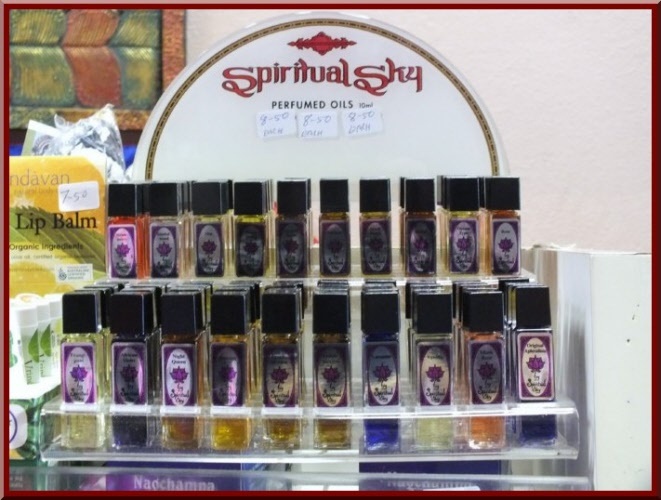 Choose your favourite from our selection. Most are from Nepal, the black and white ones are our own design. 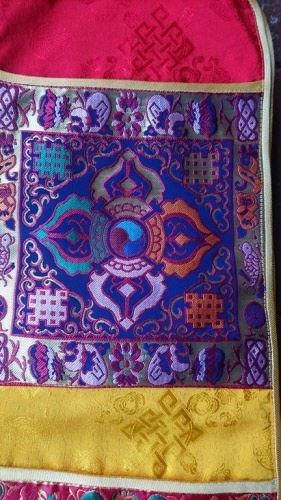 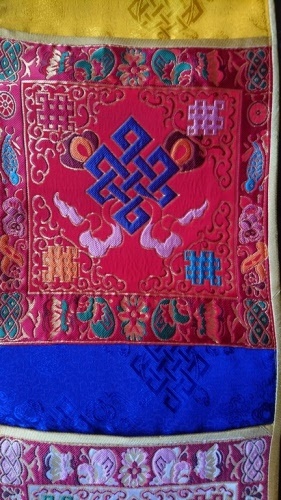 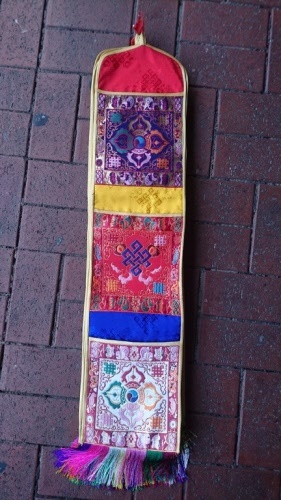 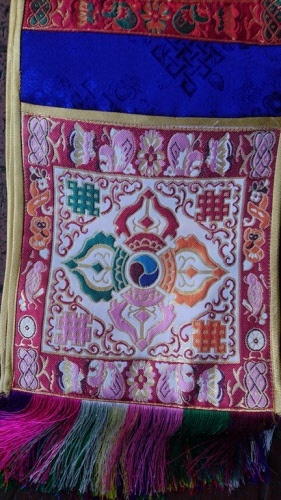 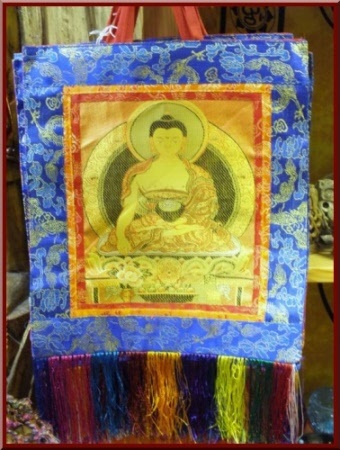 Beautifully made in Nepal, from silk and brocade, has some Tibetan Buddhist lucky signs on them. 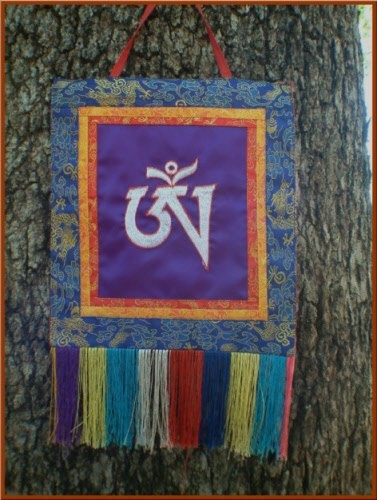 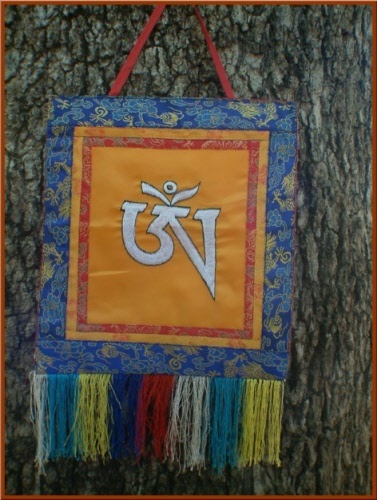 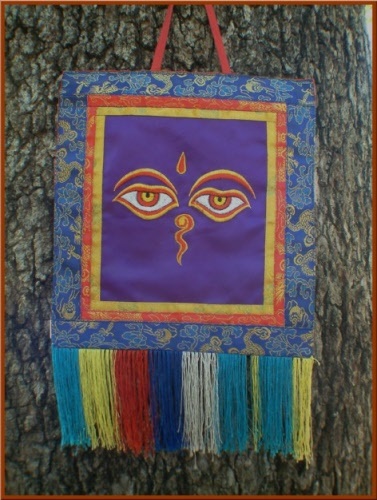 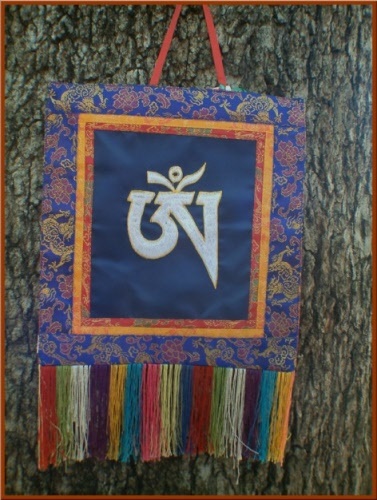 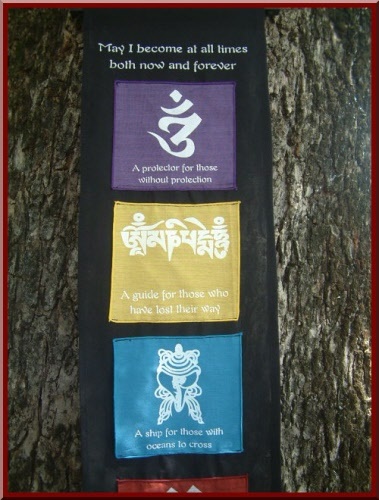 Has three pockets available to place your Prayers or Mantras or whatever you wish inside. 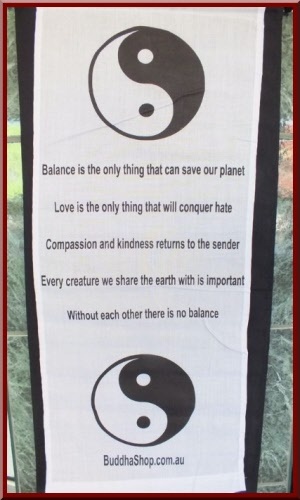 Made from cotton with Yin Yang symbols and a beautiful affirmation / saying. 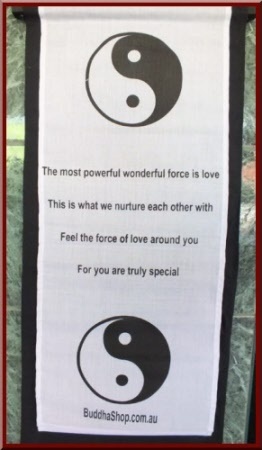 Give this to a special friend or loved one to let them know you care. Printed on cotton fabric, has wood insert at top and bottom to hold banner straight, also has cord to hang it. 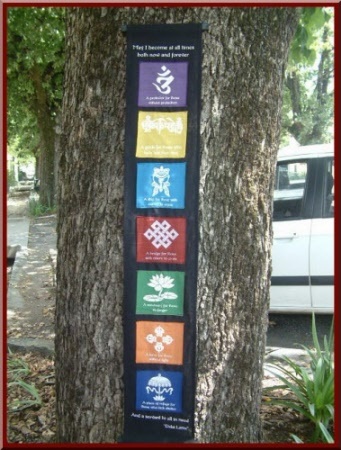 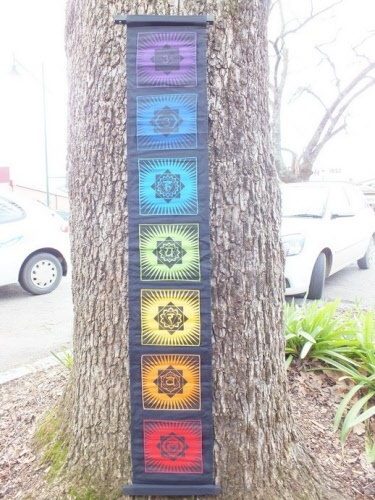 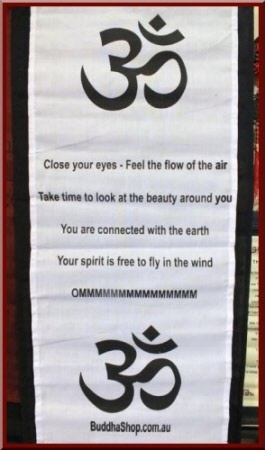 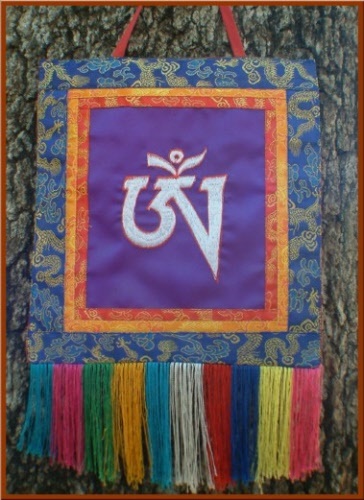 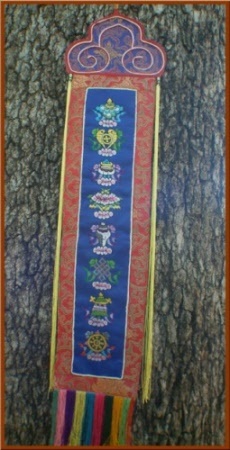 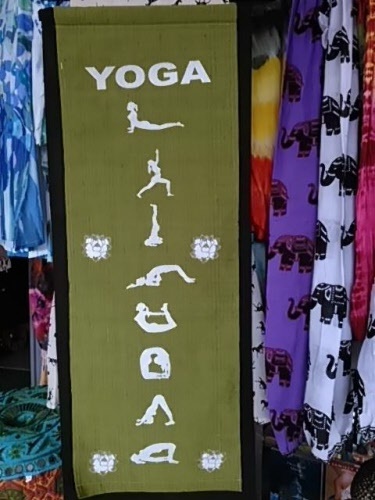 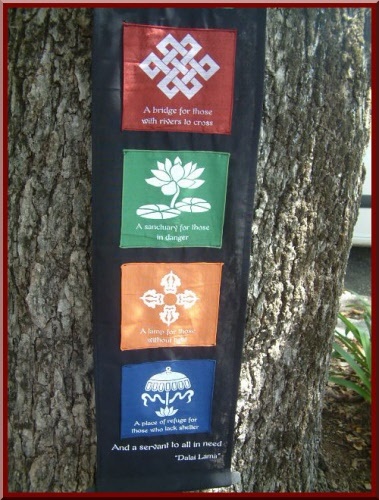 As pictured this Yoga banner with various Yoga positions on it. 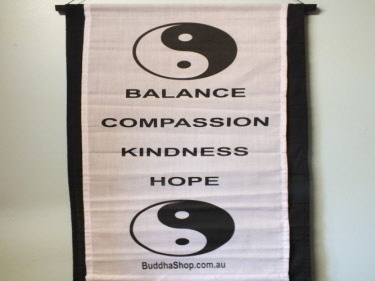 Green front with separate black background, they are fixed together at the top and have wooden inserts at top and bottom to keep the banner hanging straight. 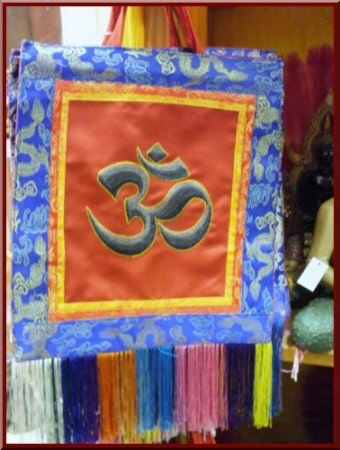 Also has cord to hang banner on hook on your wall. Printed on cotton with wood insert for top and bottom to keep banner straight, also has cord at top to hang it. 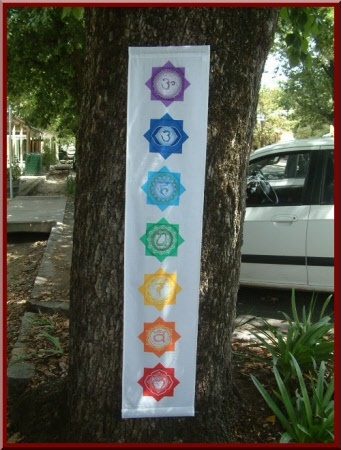 Printed on cotton with wood at top and bottom to keep banner straight, also has cord for hanging.